Hollywood, Florida, is a dynamic city with a beautiful beach boardwalk and no lack of things to do. It is a wonderful place for pedestrians, joggers, cyclists, rollerblade enthusiasts, and anyone wanting to enjoy the beautiful beach views. Unfortunately, this gives plenty of opportunity for accidents to happen because of a single negligent person or company. Car accidents are fast and sudden, often leaving people injured and requiring medical attention. A good personal injury attorney serving the Hollywood area can help you find the right medical professionals to help you feel better. The attorney can also help act as a communication liaison between you and the offending party, to ensure all conversations are kept fair and on record. The offender’s insurance company will often try to place blame on you, regardless of how injured you are, refusing to pay any medical costs or lost wages. A good lawyer can help keep this from happening, ensuring you will get compensated. Accidents can also involve negligence on the part of restaurants or stores where unsavory conditions lead to your injury. You would typically be entitled to compensation in these cases as well to cover your medical costs and suffering for their negligent practices. Doctors are also held liable for malpractice when they misdiagnose you or fail to follow correct operational procedures that lead to lasting injury to you. In some cases, malpractice follows from a first accident and the original tortfeasor remains liable for your injuries, and a separate malpractice action can be brought. INJURED? 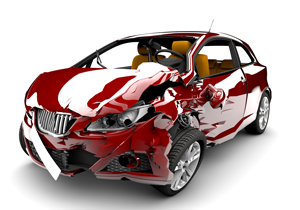 A Personal Injury and Car Accident Lawyer Serving Hollywood, Florida Can Help! Losing a loved one due to negligence, in a nursing care home for example, is also just cause to seek compensation. Whether it is through malpractice on a doctor’s part, or simple negligence on a caretaker’s part, you may be entitled by law to seek restitution for the wrongdoing. Florida laws protect you from having to suffer through these experiences without the financial means to do so, so it is a good idea to contact a personal injury attorney experienced with helping people in the Hollywood, Florida area. OUr Firm offers free consultation phone calls or interviews so you can have an idea of your chances as getting compensation, as well as get a feel for what is in store for you. Most cases can be handled without going to trial, but our Firm is almost always willing to take it that far to ensure you get the amount you need and deserve.